One day, after Jesus returned from his time in the desert, he was walking along the sea of Galilee. While walking he came across some brothers, Simon (who he would later call Peter) and his brother Andrew who were in their fishing boats mending their nests. 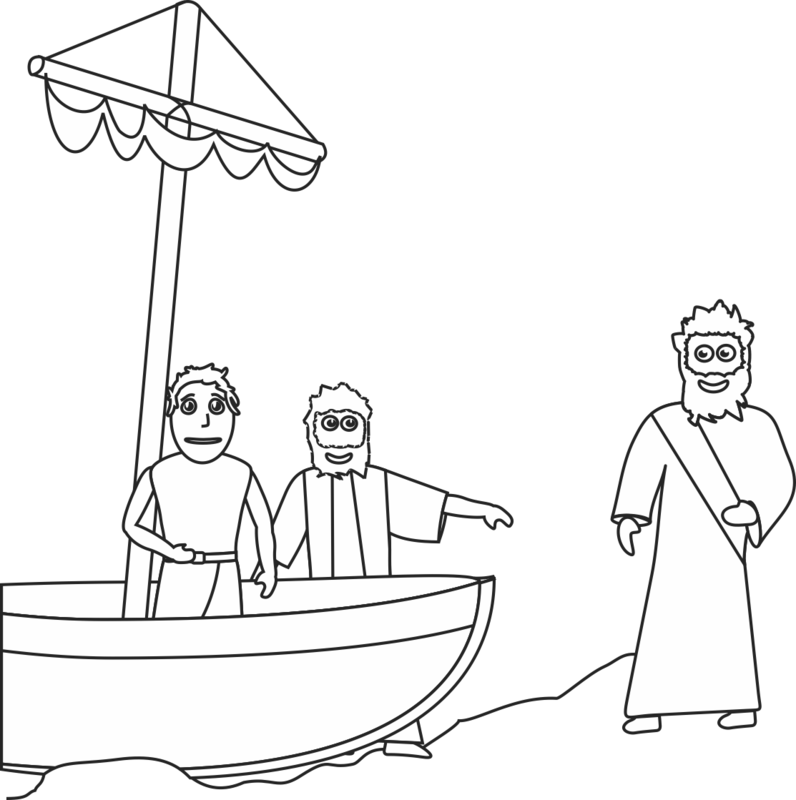 He cried out to them “Follow me and I will make you fishers of men!” Simon and Andrew left everything in their boat and followed Jesus. Soon after Jesus saw another set of brothers, James and John. They were also in their fishing boats with their father. Jesus made them the same offer. The brothers left everything they were doing with their father and followed after Jesus. Jesus called a total of 12 men to be his disciples: Simon, Andrew, James, John, Philip, Bartholomew, Thomas, Matthew, James, Thaddaeus, Simon and Judas. To these men Jesus gave power against unclean spirits and to heal illnesses and disease. 1. Select 2 or 3 children to be your special helpers for the day. Have these children help you pass out craft supplies, help clean up messes, or even be leaders for the games. 2. At the end of class ask the helpers how it made them feel to be selected as special helpers for the day. Tell them that the men Jesus chose to be his disciples must have felt just as special, because many of them left their jobs and homes to follow Jesus! 1. Create two teams of equal size. Line up the teams opposite each other, no more than 30 feet apart. Have each line of children form a chain by holding hands with the person next to them. 3. The person called runs to the other line and attempts to break the chain. 4. If the person called fails to break the chain, he/she joins that team. 5. If the person is successful in breaking the chain, he/she may bring back to his/her team one of the two children whose link was broken. 6. Teams take turns calling out red rover and challenging a child from the opposite team until one team has only one child left, or the teacher calls an end to the game. 1. Allow the children to choose one color foam. Using a sharpie, draw an outline of a fish on the foam. Cut out the fish with scissors. 2. Use a sharpie to write today’s bible verse on the fish. 3. Punch a hole in the mouth side of the fish and tie one end of a string in the hole. 4. Tie the other end of the string to one end of the stick/pole. You now have a fishing pole!